Cats have a tendency to roam, and they're not always well-behaved guests when they stop by uninvited. Regardless of how much you may enjoy the company of a feline, they can wreak havoc with your garden and spray to let other cats know they've stopped by. Keeping them at bay doesn't have to be murder on your budget. Common household products can help you keep unwanted cats from hanging around. If neighborhood cats have a particular point of entry, this will give you an idea of where to place home remedies that might send them packing. 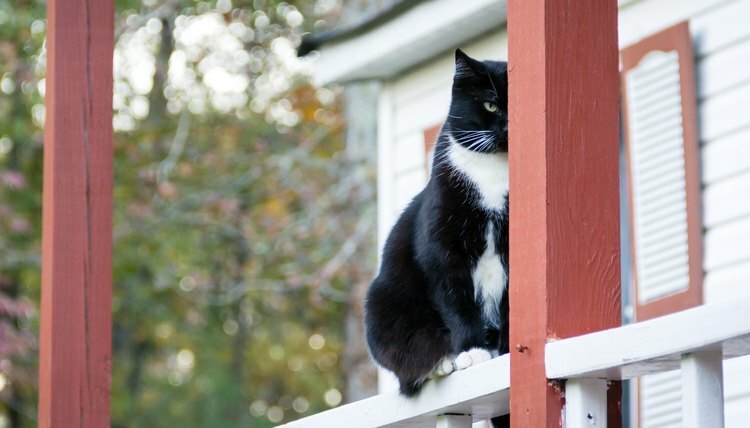 If a hole in the fence seems to be the place where cats are gaining entry to your personal space, consider placing a cat deterrent in this location. Cats don't enjoy the smell of citrus, so place lemon or orange peels at the cat's point of entry. If the cats are coming in from all angles, scatter the peels, focusing on areas that appear to be disturbed. 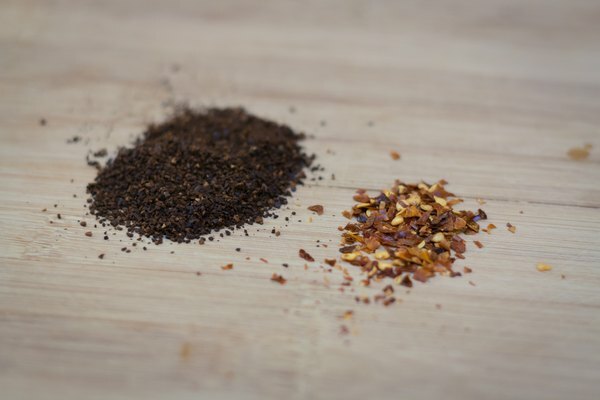 Coffee grounds and red pepper flakes also are great home remedy deterrents. Scatter them in the same fashion as you'd scatter the peels, and make sure to check back frequently. Time, or a good rainstorm, can eliminate the odor these deterrents provide. You'll need to replace these deterrents as their smells fade. Certain scented oils can keep cats away from your domicile. Cats don't especially enjoy the smell of lavender, peppermint or lemon. 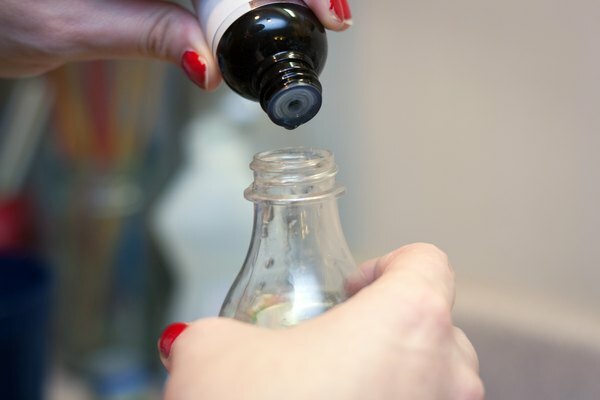 Mix one part oil to three parts water in a spray bottle and spray liberally in areas where cats visit. Be sure to reapply frequently, as the scent will fade and inclement weather may remove the smell completely. Cats may be drawn to an area where another cat has visited recently; cats who have sprayed may return to where they've left their scent. The smell of cat urine can be hard to dispel, but white vinegar can help remove the lingering scent. 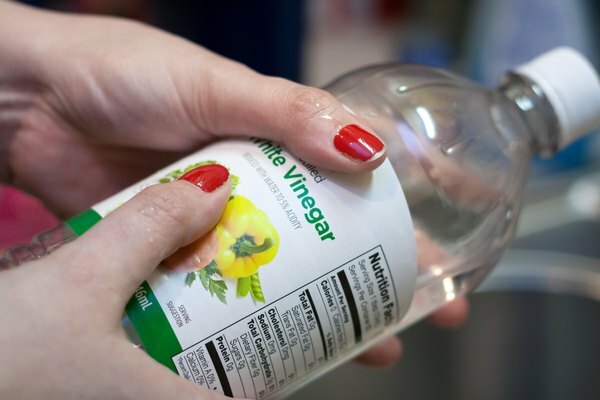 Mix two parts water with one part vinegar, and spray any affected areas. If cats are spraying your lawn furniture, or backing up to leave their scent on your cement wall, focus on these areas. Prior to cleaning anything that may stain, such as fabric cushions on lawn furniture, test a small area of the fabric by spraying with a small amount of the vinegar mixture and rinsing afterward. Removing the smell of cat urine is an excellent deterrent. 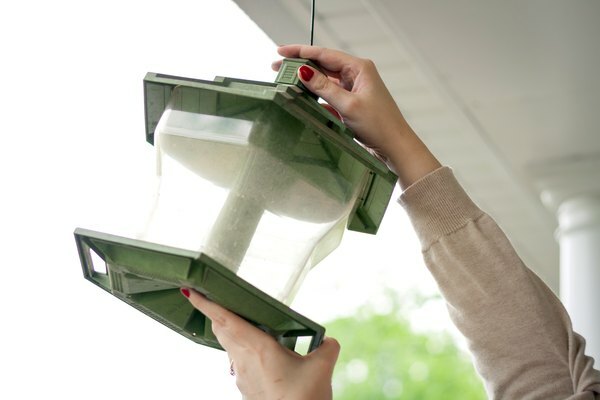 While not necessarily a home remedy, one of the easiest ways to keep cats away from your home or property is by removing things that may attract them. Bird feeders draw an assortment of birds to your yard, and there isn't a more passionate bird-watcher than a neighborhood feline. Freshly tilled soil also attracts a cat seeking a nice place to dig; plant something you probably wouldn't want in your garden. Consider mounding mulch, pea gravel or pine cones around planting to keep visiting cats at bay.